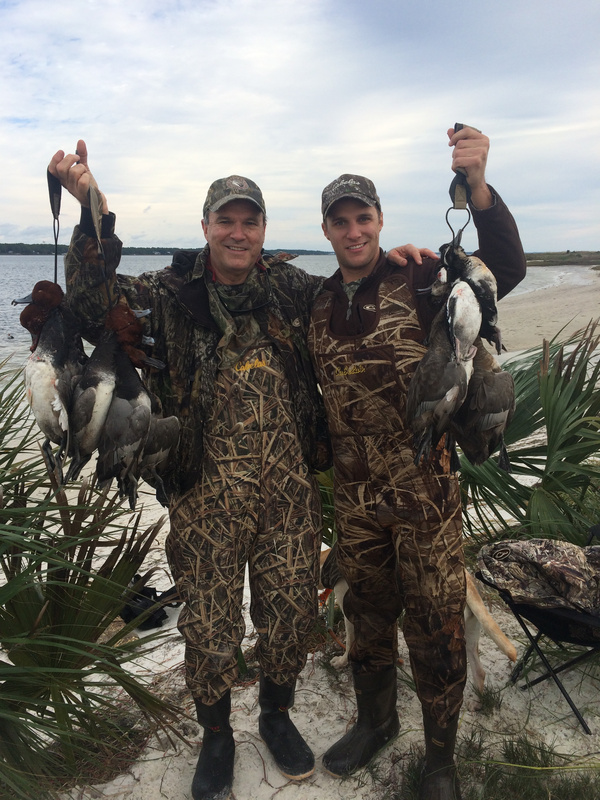 Blackwater Duck hunts take place on Piney Island, Alligator Point, Lanark, St George Island, and the Apalachicola River System; North Florida, Apalachicola Bay and St Marks Natioanl Wild Life Refuge. The area offers spectacular scenery of the beautiful bays, shoals, and marshes. Piney Island is part of the St Marks National Wildlife Refuge. The refuge is the major migration route for waterfowl and other birds. 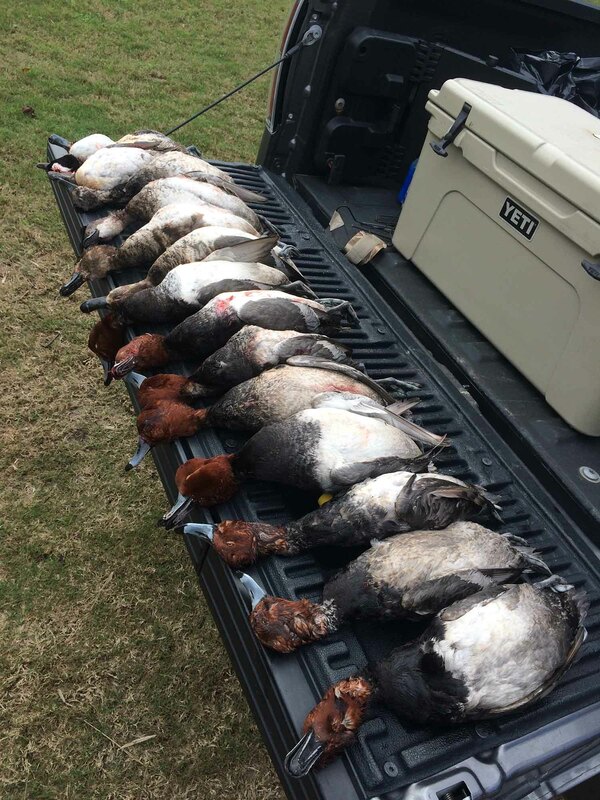 We offer traditional diving duck hunting for redheads, bluebills, ringnecks, buffleheads, canvas backs and goldeneye in the Apalahcicola Bay area. Cast & Blast hunts provide an opportunity to catch a Florida Red Fish to accompany your Red heads. Top Water action on oyster bars or shrimp in the holes, a multi spotted red fish paired up with a full plume red head is an awesome day. We believe location is the key to success – so we hunt the most productive water. 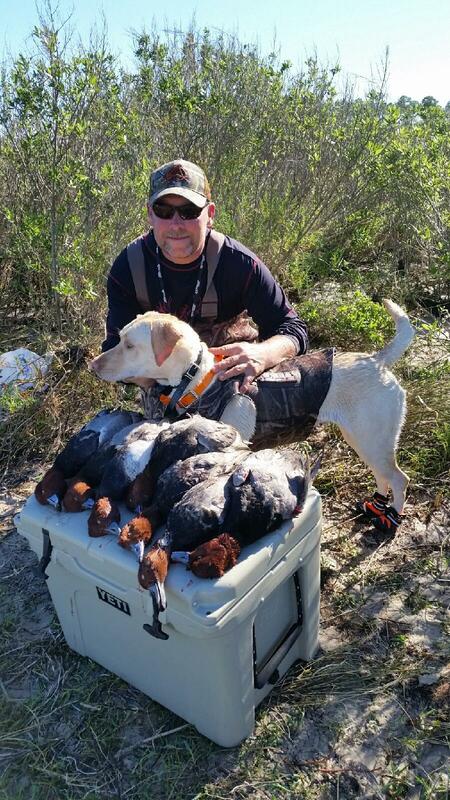 An experienced USCG Licensed Professional Capt will guide your hunts. Hunts are conducted from a roomy 22 foot custom designed duck All Weldboat. It is equipped for your comfort, safety, and awesome water fowl hunting. Depending on the weather, tides, and amount of hunters, you will be hunting from a marsh bank, on a shoal, or from the boat. The latest waterfowl techniques are used along with the very best equipment. We will deploy up to 150+ magnum decoys on long lines and texas rigs. Breakfast, snacks, and drinks will be provided during the hunt. Due to the excessive equipment needed to hunt the big water, please plan to limit your gear to one gun and one blind bag. A cleaning kit for your guns for the abrasive salt water. My hunting dog (Nilla) is provided with your hunt. • $100 per hunter (Max 6 hunters). • A non-refundable down payment of 50% is required at time of booking.